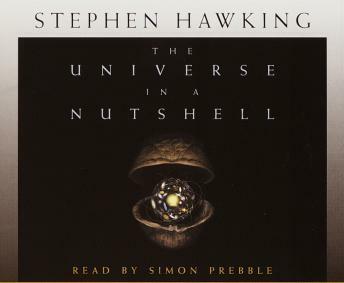 Listen to "The Universe in a Nutshell" on your iOS and Android device. As several people have said, "I following the larger picture he was trying to paint and tying it all together." This was an interesting listen for me but I can image if you are not a big fan of physics you might not get past CD 1. I learned a few new things. The book is well narrated and for the most part flows well. One needs to be very open and accepting of the science presented in order to stay interested. The first topic explains that the speed of light is the same for all observers. Hawking states that even though this seems strange, it has been observed by many experiments and is well accepted in the science community. Well, it seems more than a little strange to me and I am just not so willing to accept it. Out of this premise, the science then leads to the curvature of space and time. Again I am not prepared to accept that time is curved. I like to think of time as linear and essentially orthogonal to all the science presented. Curved time leads to discussing if there is a beginning of time. From here the topics proceed to get more and more "out there". I eventually lost interest. If I could be more accepting of the initial premises, then this might be a great book. I liked the first book a lot better. This book was a lot of theory and concepts beyond my interests. Didn't learn much. A very engaging reader, and a well written book made me welcome the traffic jams for extra "reading time".